NIA-CHARLESTOWN NEVIS (August 03, 2011) — Minister of Health and Trade and Industry in the Nevis Island Administration (NIA) Hon. Hensley Daniel, described as a brave effort, the move by local business Island Tyre and Hardware based in Lower Stoney Grove, to venture into commercial Oxygen and Acetylene generation. Mr. Daniel’s comment came when he accompanied by colleague Minister Hon. Carlisle Powell recently toured the facility at Prospect. 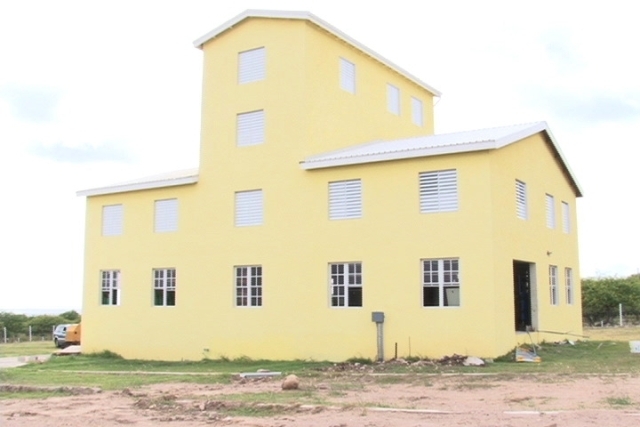 The Company owned by Nevisian Mr. Analdo Chiverton opened its production plant at Prospect recently, the first of its kind in St. Kitts and Nevis and donated its first 10 cylinders of oxygen produced to the Alexandra Hospital. “I want to commend Island Tyres for this brave effort in developing their own gas plant for St. Kitts and Nevis. It is the first in St. Kitts and Nevis and that is remarkable. “As the Minister of Health it is very important for me to know that oxygen is available when needed because at the present time if something is happening we have to import the oxygen for the hospital we could have people’s lives at risk but here now with the oxygen being produced here it makes it so much more easy,” he said. With regards to trade and industry the Minister noted that due to the present manner in which the world was working the NIA was looking to the private sector for growth and the new plant was an important expansion. 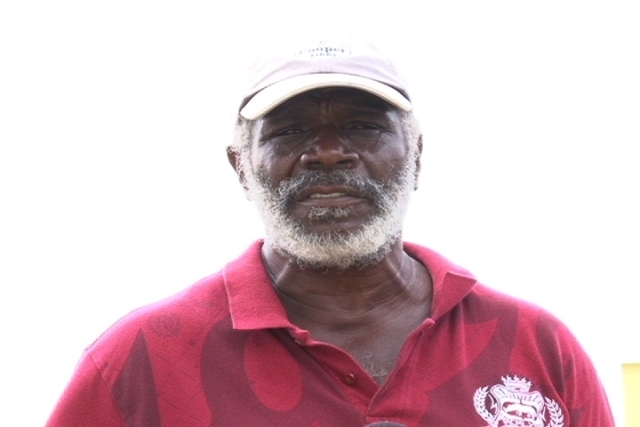 “Nevis has focused a lot on tourism but now we are moving into industrial development. This is an arm of industrialisation which we want to foster and here, in this otherwise grass reed area, we would not see something like this but in terms of industrial development, this is a step in the right direction and we want to commend them for that,” he said. Mr. Daniel pointed to the many welders on Nevis who would benefit from the ready access to the Acetylene Plant for their metal works. The project was started by the founders of Island Tyres and Hardware and Chiverton’s Construction. In 2008 they travelled to India and purchased a state of the art Oxygen and Acetylene Plant. 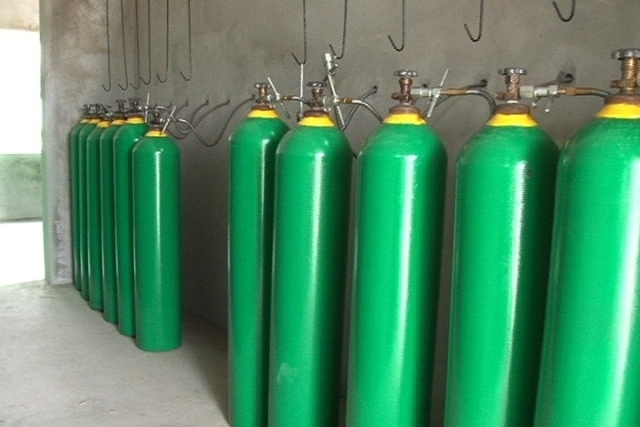 The oxygen Plant has the capability of producing 99.9 percent oxygen and nitrogen. Notwithstanding, Mr. Daniel urged persons in Nevis to support Mr. Chiverton’s venture which he hoped would tap into the export market in the neighbouring islands of St. Kitts and St. Maarten. The Minister also used the opportunity to commend the effort on behalf of the Government of Nevis because the island was not an industrialised community like Trinidad for example but was certain the venture would rouse the curiosity of young people on Nevis in particular the students of the primary and secondary schools. “For us in the Administration we will want to urge the public and also the young people in particular in Nevis to take a leaf from Mr. Chiverton’s book to copy the example of hard work and strategic investment, so that in time and over time, we will see some other industries featured in Nevis. “We have enough land across the country to include some of the small plants for industrial development. Once again Mr. Chiverton congratulations and we wish the plant every success,” he said. 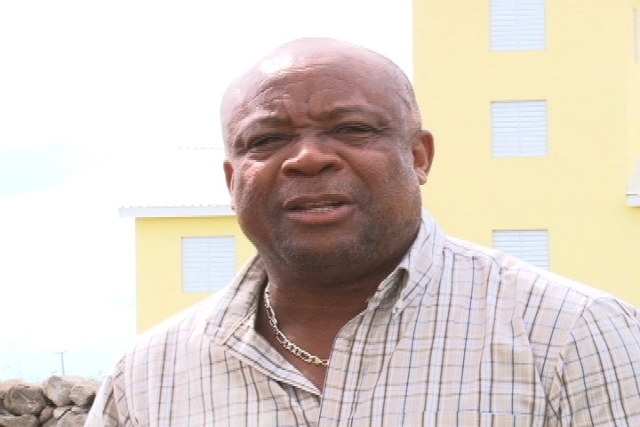 In response, Mr. Chiverton explained that his company had for some time been an importer and distributor of the gas products but has been experiencing problems with shipping and the cost from sometimes Florida and Antigua to Nevis. “Now and again you might have a boat and it’s delayed because of whatever storm or bad weather and for probably about 12 years now I made up my mind that whatever it cost me I want to produce these gases for the Federation of St. Kitts and Nevis, my homeland which I am very proud of. I really want to produce those gases so that it could ease the burden, the cost of the gas. “I believe we should be able to sell these gases even over to St. Kitts for half the price that anyone could get it for bringing it from abroad mainly saving on shipping. I cannot forget maybe about 12 years ago I tried to get some gas from Antigua I had a little problem with it. Then we went to Tropical let’s say we started with $10 for the shipment 12 years ago now its $25,” he said. Minister responsible for the Environment on Nevis Hon. Carlisle Powell who also lives in the vicinity of the facility also commented. According to him the Plant was environmentally sound and had met all the requirements of the Ministry. “When this project came to the Ministry, all of the checks were done and we are very, very satisfied that in terms of the effects on the environment, very minimal and from a personal point of view I live in very close proximity and I have no concerns about the health matters. As you heard from the engineer this is as modern a plant you can get and we don’t expect that there will be any environmental fall outs at all. “I again want to commend this project and I look forward to this being here and satisfying the needs of the Federation and beyond for several years to come,” he said. Mr. Ravindranath Mulchansingh of Oxygen Nitrogen Solutions Ltd in Trinidad the engineer who assisted with production, noted that the facility was a modern plant with no effluence into the atmosphere. He explained there were trace oil deposits when it condensed but absolutely no effluence. “The safety on the plant is on par with technology right now so as Mr. Chiverton said these plants exist next to residential areas in many parts of the world. In fact the separation from this plant and any house or any other building is probably further than most other places I have seen,” he said. The Plant was assembled and commissioned by Engineer Xuantin Shi of China.